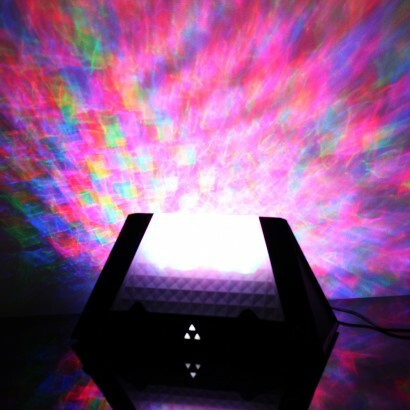 There's something about colourful light that just makes your music sound even better, and that's where the Prism Projector comes in. 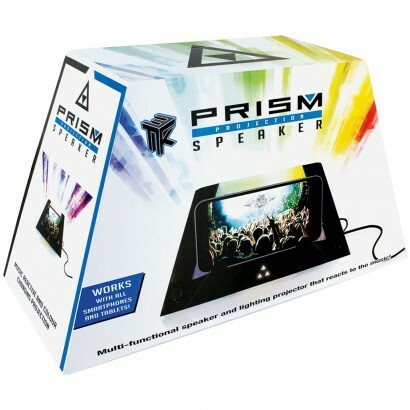 Suitable for use with most smartphones and tablet devices, the Prism Projection Speaker plays your favourite tracks through 3W stereo speakers whilst 16 LEDs react to your music throwing out a colourful light show! 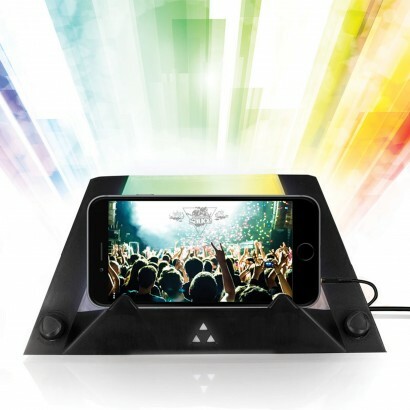 A sensitivity control allows you to adjust the lighting effect so that no matter whether you're relaxing or partying, your tunes come with their own mood lighting.